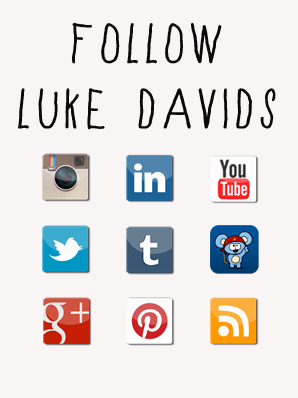 It has been three months since the release of my self-titled album 'Luke Davids'. The most exciting part about this entire experience has been meeting people from all over the world who have connected with me and my music via social networks. If we have not connected yet on your favorite virtual site, please find me on a site below. I would love to hear from you!! Posted on November 2, 2012 by Luke Davids and filed under Life and tagged MailList twitter Flickr Tumblr social media RebelMouse GooglePlus Instagram LinkedIn Facebook YouTube SoundCloud.